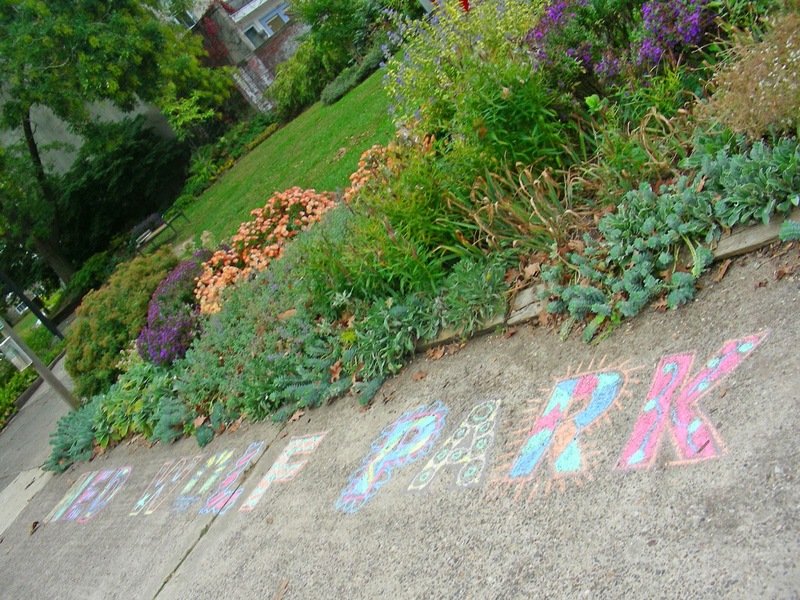 The sidewalk along West Ellet Street has been painted with block letter outlines spelling out NED WOLF PARK so children & playful adults can chalk up some creativity. Here's the inaugural coloring that was part of the Autumn Afternoon proceedings on Saturday, October 19th. Alas, a bit of rain later that night washed away the colors but left behind those latex paint outlines painted in a subtle warm gray. 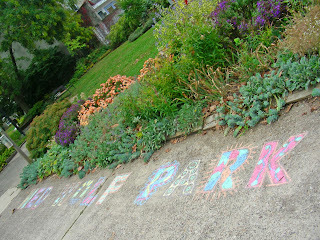 So, anyone who wants to come by and liven up the sidewalk with a new chalk display, we welcome your energies!